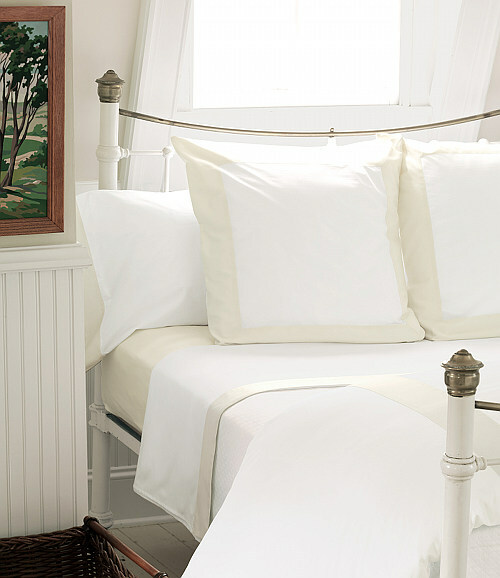 Create a quiet retreat for your guests with this classic sheeting from Nancy Koltes. The Nantucket collection includes a duvet cover with a 4-inch inset border, shams, pillow cases, and sheets with borders in your choice of 11 colors. A coverlet in white or ivory completes the ensemble. Make friends and family feel pampered with these luxury linens with a dash of soothing color. Add flowers and good lighting and they’ll delight in your hospitality. 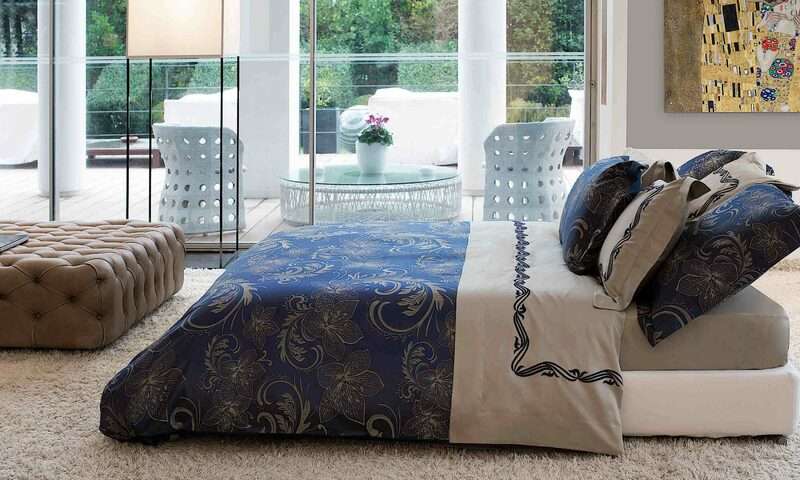 Nancy Koltes bedding is the ultimate in luxury, style, and comfort. All bedding ensembles are meticulously crafted in the USA from fabrics woven in Italy. Capturing the simplistic beauty and rich colors of New England autumn leaves, the Marblehead bedding ensemble from Nancy Koltes is available in four colorways: Claret (red/gold), Gold, Luna (soft green), and Mocha (brown/teal green). The collection includes a duvet cover which is self backed with reverse face, two fabric options for shams, and a ribbon-bordered sheet set; all in 600 thread count Egyptian cotton. A 300 thread count Egyptian cotton quilted box spring cover completes the ensemble. Nancy Koltes bedding is the ultimate in luxury, style, and comfort. All bedding ensembles are maticulously crafted in the USA from fabrics woven in Italy. Maddie Boo Lolly children’s bedding offers the most current trends in fabrics to create amazing ensembles for any little girl’s bedroom. The Lolly collection is featured in “lollypop” fabrics of a teal blue, a fuchsia, a fun floral called “Poppy Birds”, and a patchwork of a variety of colors and patterns. The combination is bright and fun and creates a happy mood. This collection gives you the option of a choosing a coordinated set of duvet cover, bed skit and sham or selecting individual elements and colors to suit your personal preference. Your little girl will love this colorful bedding. She may even be enticed to go to bed early.